Florida roads are among the busiest in the nation. Between the more than 20 million who call the state home and the millions more who visit each year, traffic accidents here are unavoidable. And when they do occur, recovering is something that can take an extended period of time to accomplish. This is especially true when an accident occurs that leaves you struggling financially as well as physically. But if the accident wasn't your fault, you shouldn't have to shoulder that financial burden on your own. And if you can show that the other party was to blame, you likely won't' have to. Under Florida law, if you can prove that another party caused your accident, you will be entitled to financial compensation that should cover the medical bills, property damage, lost wages, and other financial damages that an accident can trigger. But the first step is simply understanding what fault means in a Florida auto accident, and why a personal injury lawyer is a must when you begin trying to show that you deserve compensation. When most people think of the word 'accident', automobile accidents are what usually come to mind. And with good reason - auto accidents are increasingly common and also come with a huge potential for serious injury, disability, and death. But did you know that slip and fall injuries are very common as well - and also very dangerous in their own right? 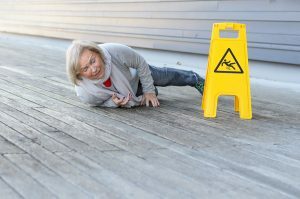 While ice isn't generally a problem here in Florida, there are plenty of potential causes of falls that can occur on a property, and fall-related deaths are actually almost as big a killer as motor vehicle accidents when it comes to unintentional deaths in the USA. Even if a fall isn't fatal, it can lead to major financial burdens and physical injury that can take months or even years to recover from - broken bones, traumatic brain injury, and more are very common with a fall. As such, it's worth taking a closer look at this type of accident and whether or not you might be owed compensation for your injuries. It’s not something that anyone actually wishes would happen, but it’s important to be prepared and to have a backup plan in case of an emergency. There may come a time when, through no fault of your own, you may receive an injury and be unable to work. If that happens, especially if you’re a parent in a family, that means that the financial well-being of your entire family may now be at risk due to your inability to draw a salary. But there is help available. Some of it may come from your employer if you were injured on the job, and your company has some kind of workers compensation insurance. But if you were not injured on the job, and it happened somewhere else, in all fairness, your company has no obligation to financially support you. The government, however, might. 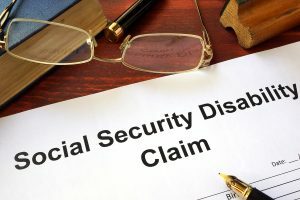 It’s called social security disability insurance, or SSDI, and you may already qualify for it in the event that something happens to you. When you're involved in an accident of any kind, recovery will become your life's primary focus for some time. But while making a physical and even a mental recovery are vital, the financial damages that an accident can cause are often major and can be just as difficult to recover from. In situations where your accident wasn't your fault, it's possible that an insurance company will make a settlement offer to you. This settlement is essentially a sum of money that will be given to you, that you then use to pay the medical bills from the accident. However, once it's accepted you will be unable to seek out additional compensation. And because of this, a settlement offer can be one of the biggest mistakes that you make following an accident. Taking a closer look at it is important. What Goes Into A Fair Settlement Offer? Technology has found its way into our lives in a way that most wouldn't have dreamed of just a decade ago. For example, today's social media usage is so prevalent that virtually every business in the nation needs a social media account, and the platforms are used to communicate with friends and family members on a constant basis. 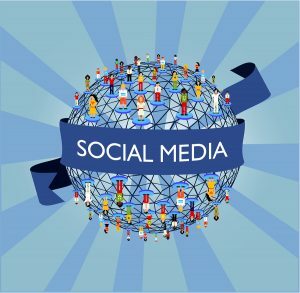 There is certainly nothing wrong with loving your social media accounts, but it's well worth taking a closer look at the numerous ways that it can impact an auto accident in Florida. Before and after your accident, social media may play a bigger role than you realize. The first aspect of social media to pay attention to where accidents are concerned is simply the fact that it has become a very common cause of automobile accidents. 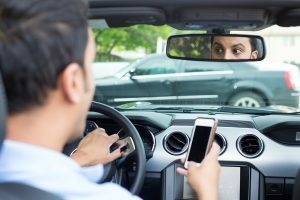 Checking Twitter or posting another Facebook update while driving is incredibly dangerous, and these distracted driving cases account for a large percentage of accidents on the roads today. 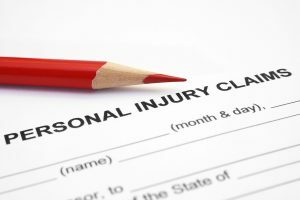 Over the last couple of decades, personal injury law has gotten somewhat of a bad rap. 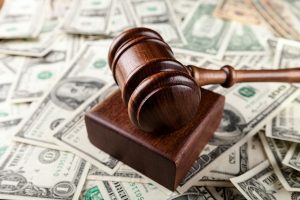 The idea that all personal injury cases are nothing more than frivolous attempts at a cash grab has been fueled largely by the media, but the reality is something far different. In fact, it's important to take some time to tear down the stigma of personal injury lawsuits and get to the harsh truths behind an accident. With that in mind, let's take a closer look at things. Injuries are more than just painful - they can also be incredibly difficult to recover from financially. Even the kind of cases that get the most derision - hot coffee cases - is no laughing matter. In fact, just recently a woman was awarded $100,000 after being burned by hot coffee from a Starbucks drive through in Jacksonville, Florida. June 2017 saw one of the worst fires in recent memory as 79 people died in a fire in Grenfell Tower, an apartment building in England. And while the investigation is ongoing, numerous officials and residents have already begun to blame the owner and manager of the building for the accident. While it's on the other side of the ocean from us, the reality is that accidents like this could happen almost anywhere - despite the country and the state of Florida having very strict regulations in place to help reduce the risk of injuries or death from fires and other issues on a property. 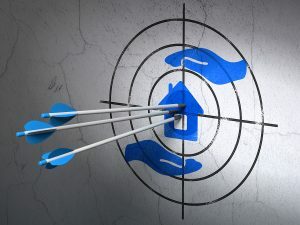 But still, property-related accidents can indeed happen, and taking a closer look at what this might involve is important since it could be something that you or a loved one ends up unfortunately facing. Your job is your livelihood, and you depend on that steady source of income to keep your finances in order and keep you and your family moving towards your goals. But sometimes, Florida workers may end up being injured on the job. 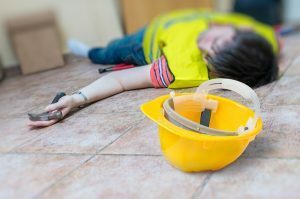 Most people believe that if they're injured at work, all they need to do is file a quick Florida worker's compensation claim and receive compensation for things like their medical bills and their lost wages due to time away from work. But this isn't always the case, and understanding more about worker's compensation, your injuries, and what you may need to do to get your life back in order is important. In many cases, filing your claim is essentially all you'll have to do. From there, you'll get compensated for injuries after a short investigation into your accident. But often, worker's compensation may not work so easily. The reason comes down to one simple thing - money. Being involved in an accident is something that can impact your life in far more ways than one might first suspect. Your physical injuries will take a long time to heal in many cases, and the mental or emotional impact will be even longer-lasting. Making things worse is the fact that an accident can lead to serious financial burdens, and if your auto accident wasn't your fault then you owe it to yourself to talk to a Florida accident lawyer. It's common for those injured in an accident to be offered a settlement amount in the days after being injured. But while those initial offers make it seem easy to quickly accept an amount and get the help that you need, the reality is that seeking out a Florida accident lawyer is almost always a better option. There are numerous reasons for this, and taking a quick look at some of the main benefits offered by a personal injury lawyer can help you see why they're one of the best allies you can have on your side. 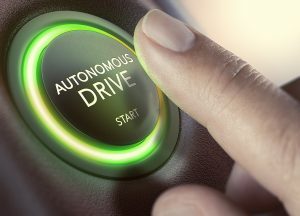 In May of 2016, near Gainesville, Florida, Joshua Brown had the misfortune to become involved in the world’s first self-driving car accident that resulted in a loss of life. At the time of the accident, all that was known for sure was that his car impacted with the trailer of a truck that had pulled across lanes at an intersection. One of the reasons this accident occurred was because the Tesla car’s self-driving systems relied entirely on cameras, not more advanced detection systems such as radar or laser-based guidance systems known as lidar. The result was that on an overcast day where the sky was predominantly white, the car’s camera systems failed to distinguish the difference between the white sky and the white truck that was changing lanes. Joshua’s car collided with the truck as a result of this technical problem. What has now come to light after the investigation was concluded is that this may not have entirely been the fault of the car and its systems. Joshua Brown ignored what his car was trying to tell him. 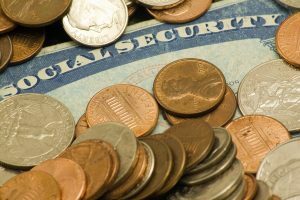 What’s The Difference Between Social Security & Workers Compensation? All Injuries Law Firm is a legal practice that has workers comp lawyers as well as lawyers experienced in social security. In both cases, our goal is the same; to make sure that people who are entitled to either workers comp or social security actually get the financial security they need and deserve in order to continue living their lives despite an injury. But some people may have some specific questions about these two different types of financial compensation. After all, if workers comp is money you receive from being injured, and social security is also money that is given after someone is injured then what, exactly, is the difference between the two? Is it possible to get both? Let’s look into the similarities and differences between these two systems. Could Your Social Media Be Used Against You? One of the most convenient—and addicting—additions to our modern, 21st-century lifestyle is the rise of social media. It’s not hard to see why; the ability to communicate in real time with friends and relatives, or make announcements to people close to us, or to the world in general that can be read at any time is a major communications breakthrough. Thanks to social media, friends, and relatives across the country or even on the other side of the world can still keep in touch. And thanks to social media, we can expose ourselves to new people and ideas we might not have considered before. But for all the good that social media can bring, there’s also a risk to social media. For more sensitive people, social media can simply be another avenue for cyberbullying, where the people causing pain and humiliation no longer even have to be in the same room. But for others, social media presents a far greater, more tangible threat, especially in the legal world of civil lawsuits. Social media can be evidence that can be used against a person. With summer here, Florida’s role as one of the premier travel destinations in America will get a real workout. People from all over the country and the world will be visiting different parts of the state, and that means that human traffic into places like shopping malls, restaurants, amusement parks and other facilities is going to be high. If you run a business, you’re probably aware that you have a legal responsibility to ensure the safety of people that visit your facility. 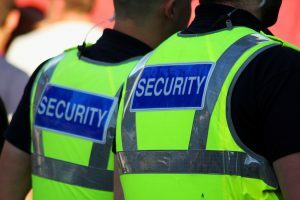 What you may not be aware of is that this sense of safety also extends to any security guards you may have on the premises and how they how they react to incidents involving visitors. When you take a visit to the doctor and transfer this over to more specific situations, such as getting diagnosed and evaluated for an injury acquired at work, things get more complicated. Now, it’s not just a simple matter of being informed of what your medical issue is. It is also about making sure that every possibility has been documented and considered in order to make sure you qualify for workers compensation. And if you fail to communicate clearly and honestly with your doctor, it could get your workers comp denied. We’re now officially into summer, and for the state of Florida, that means one of many things; namely that more boats than ever are going to be cruising the water. And the more boats there are afloat, the greater the chance for mishaps, which is something we’ve already seen in the last few months alone. 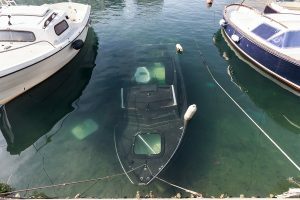 An unfortunate example of boating accidents in action happened just last month in the Miami-Dade County area. On Saturday, May 13th, there was one death and over a dozen injuries related to different boating accidents that all took place on the same day, in different parts of the county. Workers compensation seems like it should be a simple, straightforward proposition, especially if you go by the name alone. 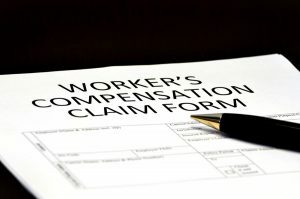 As a concept, workers compensation is all about making sure that a hardworking employee that is injured while on the job gets the financial support required for recovery, or, in the worst case scenario, gets permanent financial support should an injury be so serious it means working is no longer possible. However, there’s often a big difference theory and application. 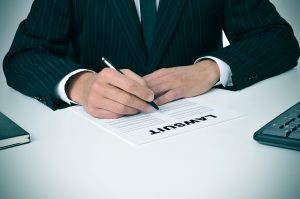 And when it comes to your company and/or its insurance company properly financing you for an injury you sustained, there are a few things you can do that may negate a company’s obligations to provide that support. Product recalls are nothing new, but these days it seems as though there are more than ever before. In the auto world, automotive recalls are made to help protect manufacturers as well as consumers - the recall helps keep motorists safe, and helps protect automakers from lawsuits. Recently, the most significant automotive recall in history has gotten larger. 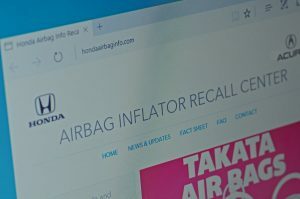 The initial recall for Takata airbags were originally believed to be related to warmer climates with high humidity that would lead to faulty inflation of the airbags. But now, even those airbags in drier climates have been determined to be at risk. As such, the recall has been expanded by a large number. Takata was recently ordered to add more than 2.7 million vehicles to its ongoing airbag recall. These new recalls add to the numbers already associated with the existing recall, creating some staggering statistics. Just take a look at the basic numbers related to the Takata recall.